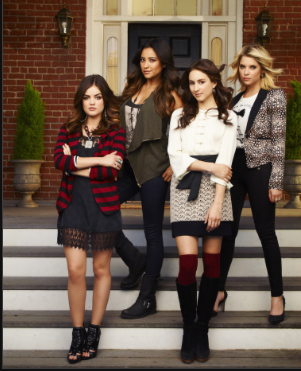 My personal style as inspired by PLL: I’m mostly a Hanna or a Spencer, though Aria has some pretty cute pieces. The four girls have very distinct plot lines, something that is shown through their wardrobe. Hanna is very glamorous, trendy, and girly. Spencer is classic preppy. Aria is the eclectic risk taker when it comes to fashion (i.e. wearing multiple prints and making it work). Emily is the athletic tomboy, which is the polar opposite of Shay’s real-life glam style. Which Liar are you most like? An Aria, Hanna, Spencer, Emily, or a mixture? « My new favorite Lilly looks!